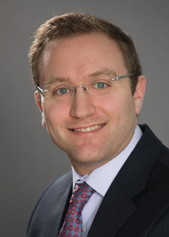 Daniel Tobias is a partner in Cadwalader's Capital Markets Group in London. Daniel specialises in securitisation, with a focus on CLOs. He has represented arrangers, collateral managers and warehouse finance providers in connection with a variety of European CLO 2.0 transactions and loan warehouse facilities. Daniel has been working on CLO transactions since the resurgence of the European CLO market several years ago. He has advised on numerous CLOs, including those with complex originator retention structures. Daniel holds undergraduate degrees in law and commerce from Victoria University of Wellington, and a masters degree in finance from Cambridge University. He is admitted to practice in England and Wales, and in New Zealand. Victoria University of Wellington - LL.B. Victoria University of Wellington - B.Comm.